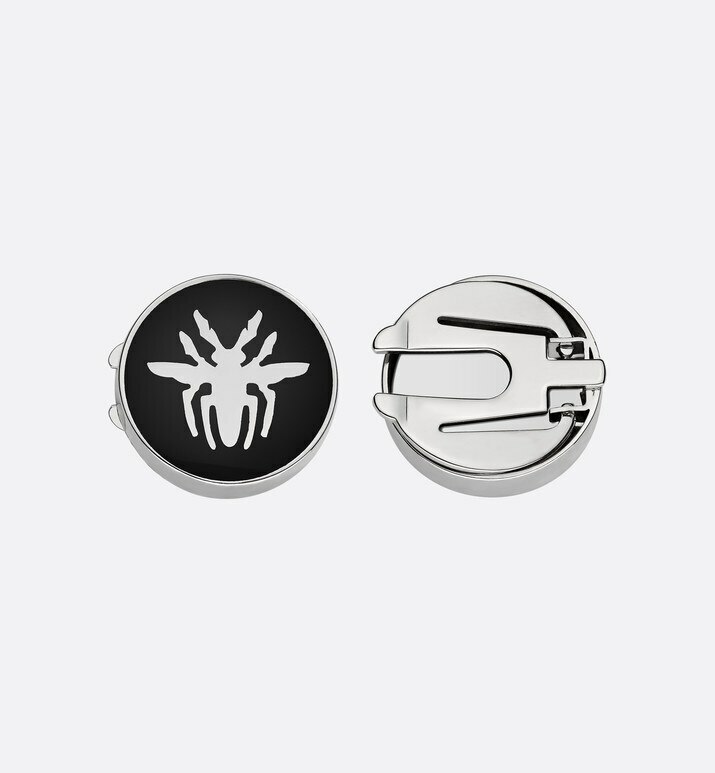 A modern alternative to cufflinks, these metal button covers are the perfect pieces of jewellery for accessorising any Dior Homme shirt. Using an ingenious "clip" system, these button covers are easy to position on the button fastening on the cuff and do not require French cuffs. 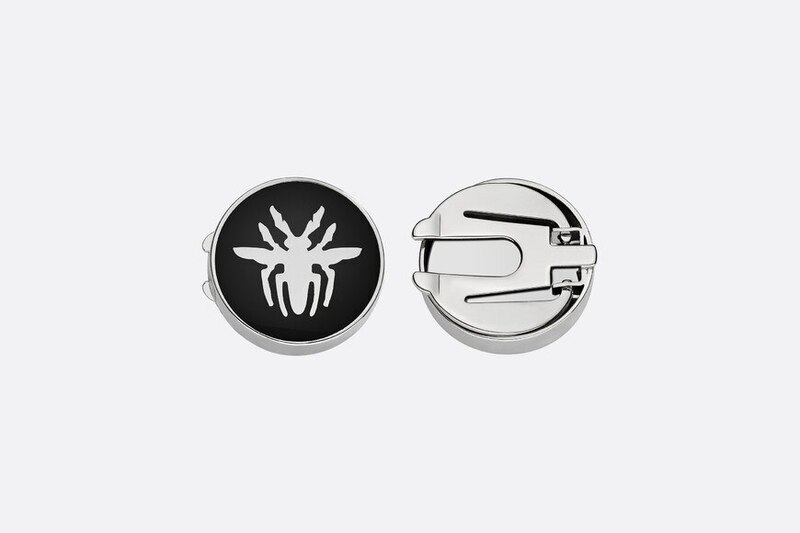 Available in a lacquered black version, these button covers echo the "Bee" motif and bear the unmistakable stamp of Dior Homme.